This is a highly unusual book and it is put together and reads much more like an English class final paper at any liberal arts college in the U.S. more than it does a critical book, examining the role of myths in music, post the 9/11 tragedy. In fact, author Daniele Cuffaro tells the reader right up front what the book will be about (“This book will concentrate on American singers who reacted to the events, and whose music refers to, or was inspired by, the events of 9/11.”) in his introduction. And in the “Conclusion” Cuffaro tells us what we just read: “This study has aimed to show how historical mythic ideas, such as the myth of the innocent nation, the myth of the chosen nation, the frontier myth, and the powerful role of religion in the myth of the Christian nation, have not disappeared from today’s American society. ” Just like a college paper. And that’s fine. I’ve read a few college papers in my time and if they’re done well or have an interesting topic they can be good reads. I enjoy reading non-fiction because I like learning something new. But at one-third of the way through the book, we haven’t gotten to the topic yet. That topic mentioned in the introduction? Not yet. First we have to get a primer on ‘myths.’ “Part One – Myths and Heroes.” Cuffaro analyzes the definitions of ‘myth’ and shares the definitions of other writers. We get more than a few “thus” and “therefore’s” along the way, further making this read like a final essay. A clear image in which faith and family are linked together by love, appears in the last verses that precede the two final refrains in which Jackson states that if you went home and clung to your family you should thank God that you had someone to love (ll. 44-45). These lines summarize the connubial relationship between the individual and the family as a divine gift. Moreover, according to the author, the deep presence of God in family life belongs to tradition. Alan Jackson does not sing this openly, but it is possible to work this interpretation out from the text. … The author never specifies where he was educated, but, thanks to the patriotic references in the text, the context, and, in part, the general assumption that country music mirrors American authenticity, the audience automatically assumes that this place is America. Toby Keith, Charlie Daniels, and Darryl Worley are studied, and Bruce Springsteen is given a third of the book just to himself. But at the end of the day (and the end of the book) I don’t feel any richer or more informed on the subject. Looking for a good book? 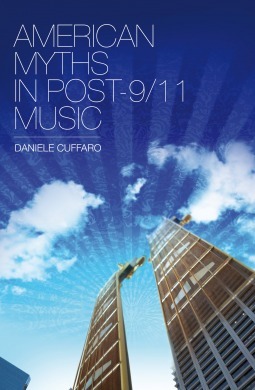 American Myths in Post-9/11 Music by Daniele Cuffaro is nothing more than a term paper, bound and sold as a book, which could be okay, except that it reads like a term paper … a bit dull and flat.